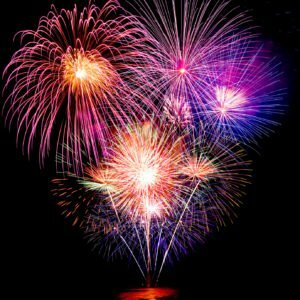 There are always so many great events and things to do in Fresno, California, but the fun gets really serious for the 4th of July! As you gather with your friends, family, and neighbors to celebrate America’s 239th birthday, we recommend checking out these local events for a fun celebration. Looking to purchase your own fireworks for the 4th of July but want to make sure that they are safe? Head over to the annual Kyle’s Kids Fireworks Stand that directly benefits the nonprofit Fresno Aquarium Project! Sunday, June 28th: 12 p.m. – 5 p.m.
Monday through Wednesday: 3 p.m. – 8 p.m.
Thursday through Friday: 12 p.m. – 10 p.m.
You will not want to miss the premier patriotic party in the Central Valley. Freedom Fest boasts one of the largest and most amazing displays of pyrotechnics on the west coast. Plus, you’ll find plenty of food and entertainment for all ages. On Saturday, July 4th, the Fowler High School Stadium will fill with locals and nonlocals ready to see the firework show! This event is free, and there will be a food and fun zone along with live performances by Randy Deaver and Crossfire! The fabulous firework show will begin at dusk. Happy 4th of July! We hope you enjoy the amazing fireworks in Fresno, California! Contact McCarty Insurance Agency in Fresno for all of your California insurance needs. As your independent insurance agency, we will be your guiding hand for everything insurance related.